Susan Slusser of the San Francisco Chronicle reports that Victoria, B.C., native Rich Harden has resumed throwing. – After posting a 6.88 ERA in five appearances – including three starts – with the Tampa Bay Rays this spring, Navan, Ont., native Erik Bedard was released on March 25. The Canadian left-hander, who was signed to a minor league deal on February 17, initially rejected a minor league assignment and elected to become a free agent, but he has since reconsidered. According to MLB.com’s Bill Chastain, Bedard signed a minor league deal with the Rays today and will report to their Triple-A affiliate Durham Bulls. – It was reported in December that Cambridge, Ont., native and 2013 Canadian Baseball Hall of Famer, Rob Ducey, had been hired by the Arizona Diamondbacks to be the hitting coach of their Rookie-Advanced club in Missoula, so I was surprised to see the former outfielder in a Philadelphia Phillies’ uniform at the Toronto Blue Jays minor league complex in Dunedin on March 21. I’ve since learned that Ducey left the D-Backs after he was offered the opportunity to become the hitting coach of the Phillies’ Double-A affiliate Reading Fightin Phils. – Guelph, Ont., native Scott Diamond was placed on waivers by the Minnesota Twins after registering a 5.29 ERA in three spring starts. The Canadian left-hander has cleared waivers and was assigned to the Twins’ Triple-A Rochester Red Wings today. – Canadian catcher George Kottaras (Scarborough, Ont.) was released by the Chicago Cubs on March 26. The 30-year-old backstop recorded three hits in 20 at bats in 12 games this spring and is now a free agent. Earlier today, Chris Cotillo of MLBDailyDish.com reported that a “handful of teams” are interested in Kottaras and that the Canuck catcher is contemplating which club is the best fit for him. – Susan Slusser of the San Francisco Chronicle reports that Victoria, B.C., native Rich Harden has resumed throwing and plans a mid-season showcase for scouts. The 32-year-old right-hander, who hasn’t pitched in the big leagues since 2011, boasts a 59-38 career record and a 3.76 ERA. – Vancouver native Jeff Francis was assigned to the Cincinnati Reds’ Triple-A affiliate Louisville Bats on March 26. The 33-year-old lefty, who pitched in 23 contests for the Colorado Rockies last season, made six appearances – including two starts – for the Reds this spring and registered a 6.35 ERA. – Despite a strong showing for the New York Yankees this month (1.32 ERA, no walks in nine appearances), Chris Leroux (Montreal, Que.) was shipped to the Bombers’ minor league camp on Thursday. The 6-foot-6 righty’s last spring outing was a start against the Toronto Blue Jays in Dunedin on Wednesday that saw him allow two runs in 3-1/3 innings. – Canadian Phillippe Aumont (Gatineau, Que.) remains in the competition for one of the Philadelphia Phillies’ final bullpen spots. The 6-foot-7, 260-pound righty, who has battled control issues over the past two seasons, has posted a solid 2.77 ERA in 10 spring training appearances. -Toronto native Jesse Crain, who signed with the Houston Astros on December 31, is still recovering from surgery on his right bicep. He threw off a mound for the first time this spring on March 21 and he recently told the Houston Chronicle that he expects to be pitching for the Astros in late-April or early May. Baseball America has projected the Canadian right-hander, who registered a 0.74 ERA in 38 games last season with the Chicago White Sox, to be the Astros closer for the bulk of 2014. – If you haven’t already done so, please “LIKE” the Cooperstowners in Canada Facebook page. I update this page regularly with links to Canadian baseball stories. Thanks again for your support. Update: The Phillies have sent Phillippe Aumont to Triple-A. Thanks for the update on the Canadians Kevin. Keep up the good work. Thanks for the comment, Devon. Yes, I’m not sure if this is it for Bedard, but we’ll see. Thanks again. lots of Canucks in AAA to start the season. I am excited for Harden. He has so much potential if he can harness that control. His K’s and hits per innings pitched are great! And career ERA under 4! Thanks for the comment, Scott. 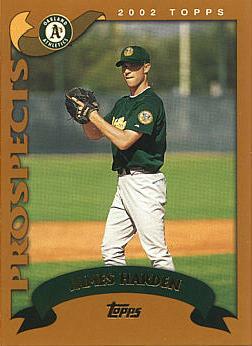 Yes, I’m hoping Harden can return, perhaps as a reliever?